Two Door Cinema Club On 'World Cafe: Next' : World Cafe The Northern Ireland dance-rock band took home its country's Album of the Year honors in 2010 for its debut LP, Tourist History. Hear and download to two tracks from the album. 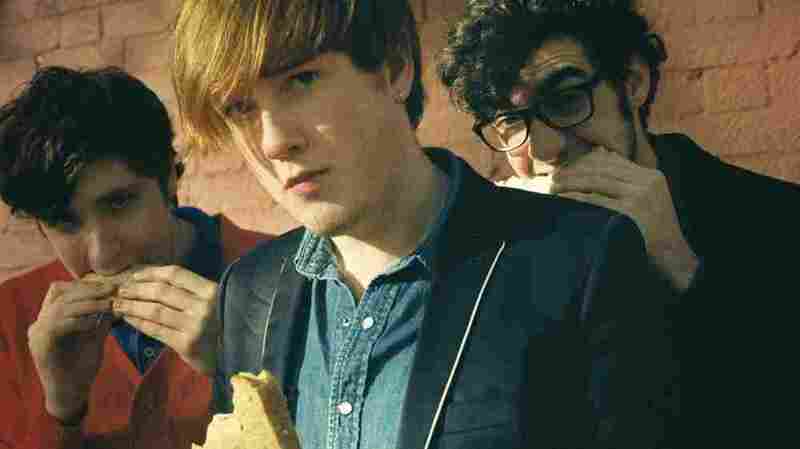 Irish band Two Door Cinema Club is this week's "World Cafe: Next" artist. Formed in 2007, Northern Ireland's Two Door Cinema Club started out as a humble project between Sam Halliday, Alex Trimble and Kevin Baird. Four years later, the trio has honed its Brit-pop take on The Postal Service to acclaim on both sides of the Atlantic. The boys released Tourist History in 2010 and watched first go gold and then win the Choice Music Prize for Irish Album of the Year, a huge accomplishment for such a young band. Since the album's release, the band has performed across the globe with acts like Tokyo Police Club, Foals and Phoenix.